Businesses and their owners generally pass through several identifiable stages during their business life cycle. Business preservation and protection, key employee retention, and protection against unexpected pitfalls are some of the important factors that a properly structured plan and strategy utilize to help protect your business. Would your business be threatened by the death of a key employee? Regulations change. Have your plans kept pace? When was your last “checkup”? Do you have a buy/sell agreement in place? How is it funded? What is the current value of your business? What about Employee Benefit plans? Just as important, what are your “Selfish Benefits”? 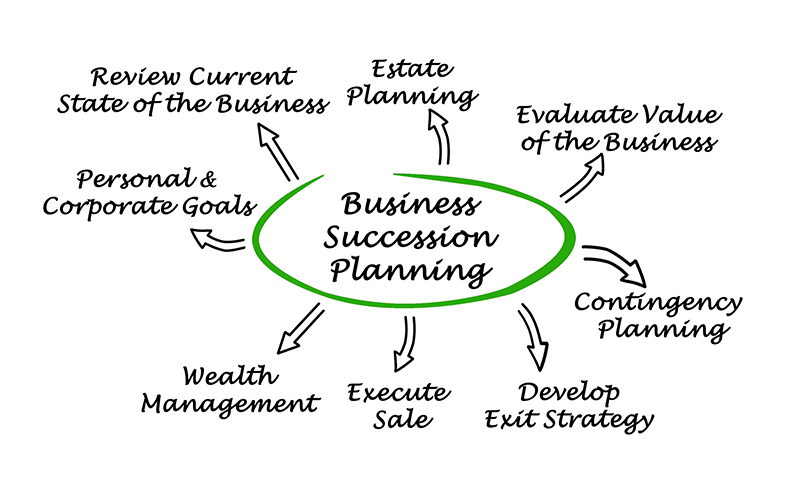 Without a business succession plan, the death of an owner can create problems for the business owner’s heirs and the business itself. In fact, many businesses do not survive upon the death of one of the business owners. A buy-sell agreement can help ensure the business continues after an owner is no longer around. This not only protects the business owner and their family, but also the employees and their families as well.